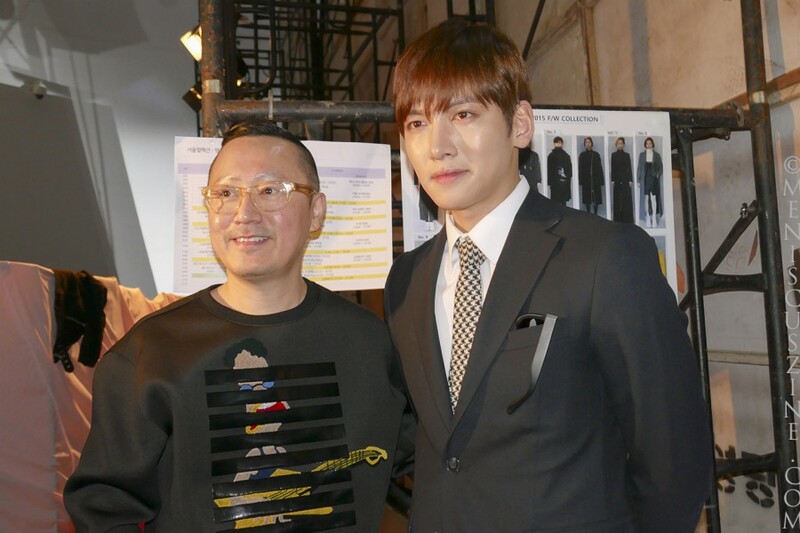 Actor Ji Chang-wook (지창욱) was the final celebrity – and the only male VIP attendee – to arrive at the KAAL E.SUKTAE Fall 2015 runway show on Mar. 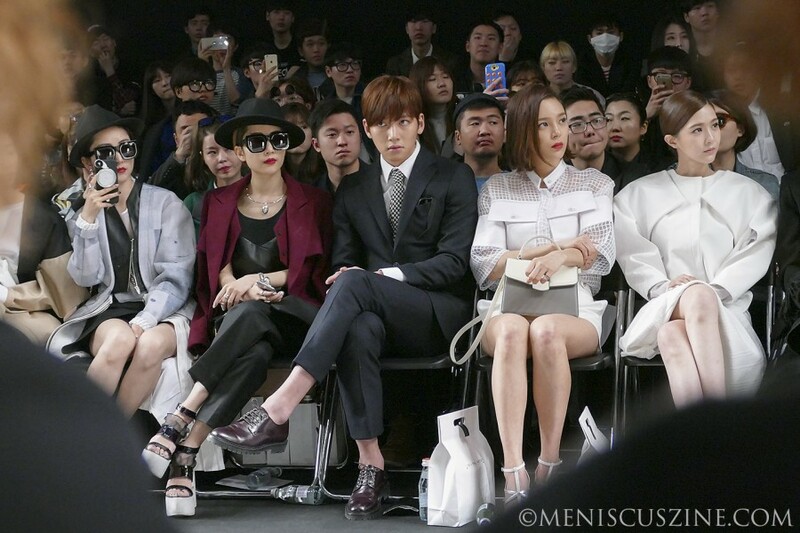 23 at Seoul Fashion Week. 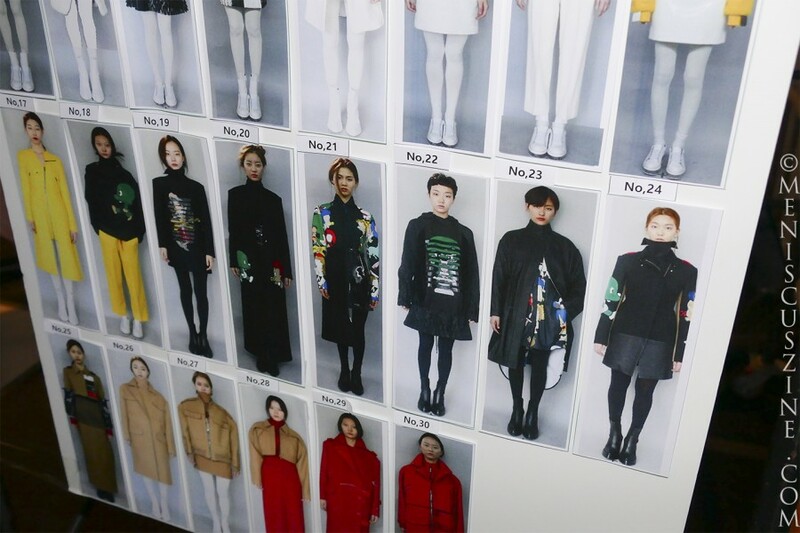 The show was Ji’s second and last appearance for the Fall/Winter 2015 collections held at Dongdaemun Design Plaza, after previously attending the WNDERKAMER womenswear show the day before. 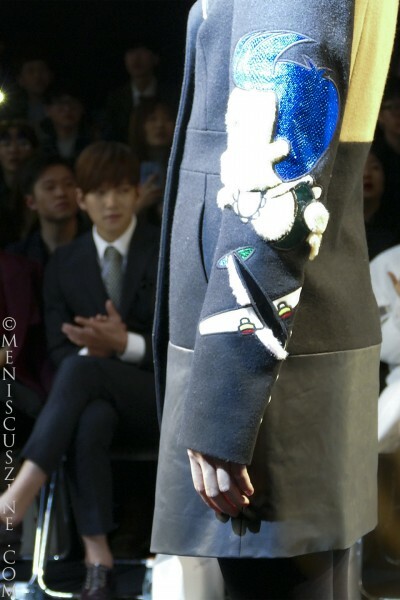 For the past several months leading up to Seoul Fashion Week, the 29-year-old* has maintained a packed schedule. He completed an outstanding performance last month in the 20-episode KBS2 drama “Healer,” in which he played two characters in an array of disguises: the mechanical “Healer” himself – illegal night messenger for hire Seo Jung-hoo – and the timid news reporter Park Bong-soo, a character within a character. 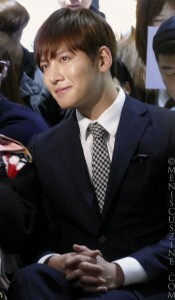 His roles featured a little bit of everything, with action scenes; a romantic arc with co-star Park Min-young’s character; and a very intriguing, but less discussed, story line about journalists grappling with self-censorship issues and the search for the truth, occurring in parallel with the main characters’ quest to uncover their family histories. After posing for photographers wearing sunglasses, Ji entered the runway area, greeting several guests and granting a couple of very short interviews before taking his front row seat. 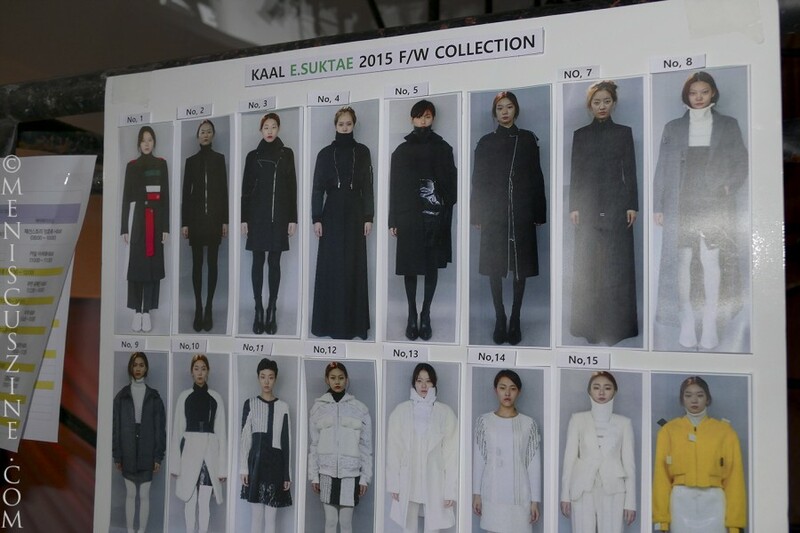 He snapped a few selfies with fans on their mobile devices, then took in the KAAL E.SUKTAE Fall 2015 womenswear collection inspired by the popular Korean cartoon “Dooly the Little Dinosaur,” which also showed at New York Fashion Week in February. The collection featured the use of mixed materials, such as faux fur, neoprene and nylon, as well as a kaleidoscope of colors. What saved the cropped jackets, trench coats, turtlenecks, windbreakers and other pieces from heading into borderline kitsch territory – particularly with a cartoon as a reference point – was a reliance on structured cuts and basic solids as a steady contrast beneath the Dooly images featured throughout. 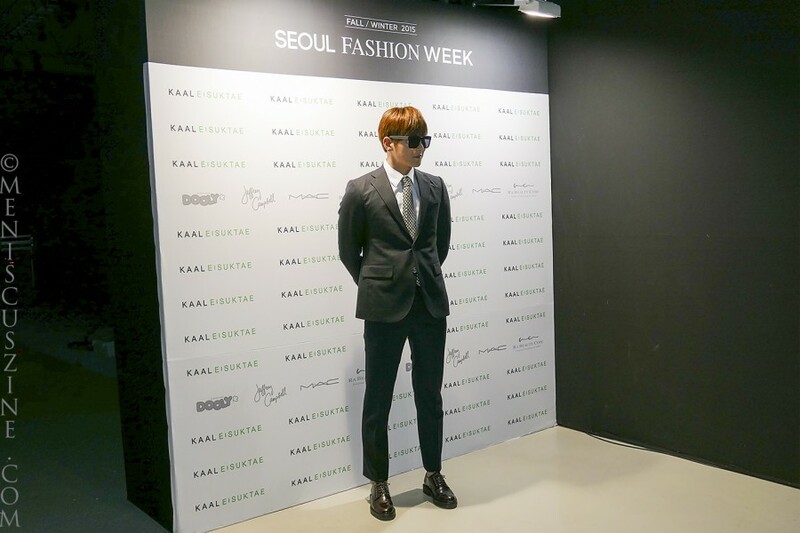 Following the conclusion of the show, Ji headed backstage and was the last VIP guest to greet the Paris-trained designer of the KAAL E.SUKTAE brand, Lee Suk Tae. You can watch Ji at the KAAL E.SUKTAE Fall 2015 show in our video clip below, which chronicles his appearance from start to finish. * Ji is frequently cited in the Korean press as 29 years old by East Asian age reckoning; in the West, he is 27 years old.